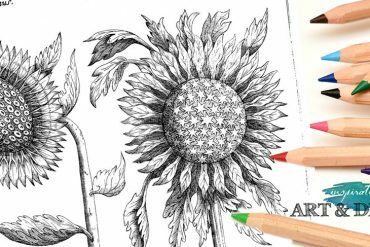 Best Gifts for Artists Who Draw – 18 Unique Gifts Artists Will Love! 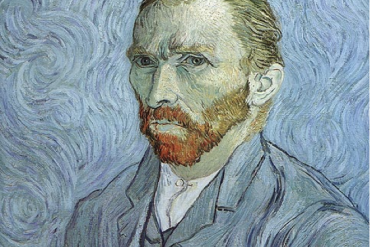 What do the visual artist in your life really want? 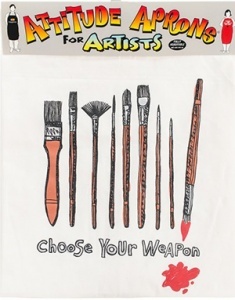 Besides the time to create and draw art, most artists will appreciate inspiring and creative gifts, quality art supplies and gifts that show you notice. Special occasions, the holidays and birthdays are the perfect time to show some lovin’ to your art friends and family with gifts that show you care. 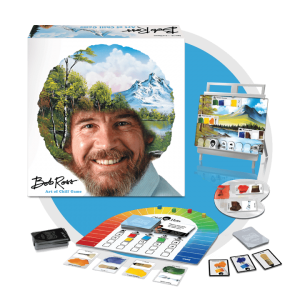 From funky Bob Ross goodies to an expressive t-shirt, quality art supplies, art papers and inspirational media to help take skills to the next level, below represents a range of goods that are perfect for artistic gift giving. Fun stuff for Artists and this extra art collectable that artists will love! 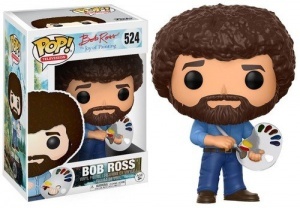 Gather your art friends and chill with Bob Ross. Earn “chill points” by painting landscape features like Happy Little Trees and Almighty Mountains using colors and brushes from your hand of cards. Bob sets the painting pace as he advances across the easel, offering chill encouragement and bonus opportunities for even more fun. Pastels and paints can be messy. Protect your clothes with a handy attitude apron. 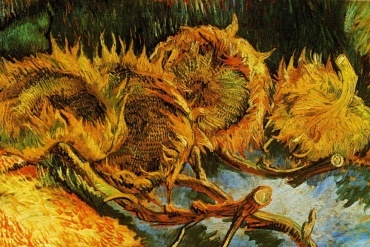 Fully immerse yourself in art without worrying about messing up your favorite clothing. Art time! It has the ring of happiness. Celebrate Art time for yourself or your favorite artist with this whimsical clock for the studio from Amazon. Does your artist or yourself need space? Let other’s know that you are busy working. The best ‘do not disturb sign’ ever. 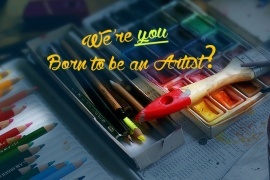 My below list represents quality art supplies for the artist that appreciates the best in colored pencils and pastels. Having used all these products for artwork, I can attest to the fact that they are the best, and a treat to get as a gift. Considered the top of the line, these professional colored pencils combine the smoothness of a permanent lead with excellent lightfastness. Every shade has been formulated using finely ground pigments chosen for their purity, intensity, and resistance to UV rays. These German pencils are also top of the line. 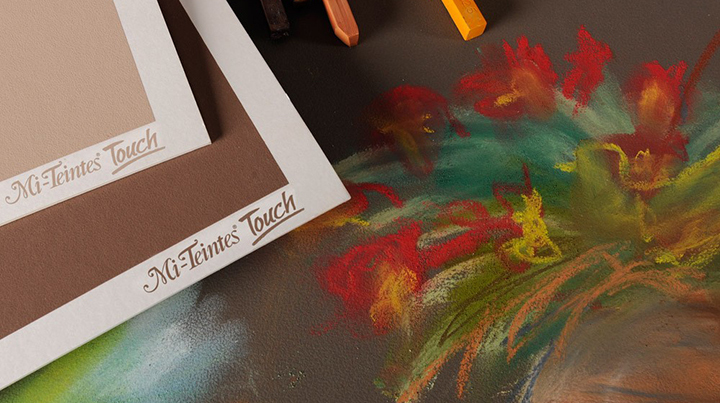 The buttery smooth color laydown offered by Polychromos pencils can be easily blended for layered effects, highlights, and transitions. Their break-resistant, water-resistant, smudgeproof 3.8 mm leads are encased in premium California cedar with Secureall bonding to resist breakage while providing sharp, fine lines and permanent, rich color. Oil based and firmer textures achieved. Best prices found on Amazon. 8. Prismacolors – Good pencils, great for adult coloring books too! The popularity of Prismacolors has risen over the years with adult coloring books. The wax based pencil is great for blending and an accomplished artist can do wonders with layering effects. The leads break easily at times, so you will want to make sure that you don’t drop them. Many craft stores sell them and they can also be found online in a variety of art stores and Amazon. 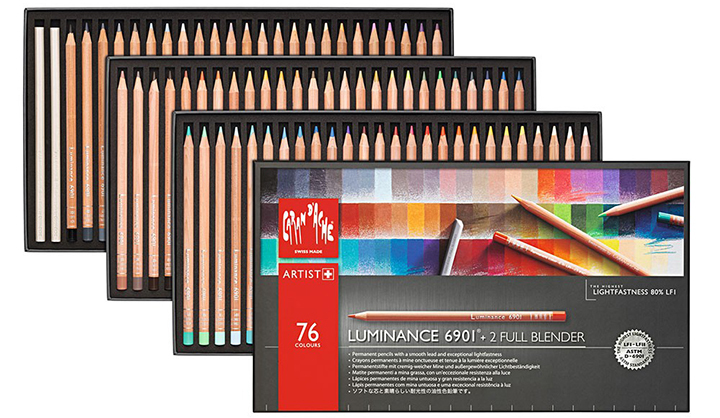 This set is a great start for colored pencil artists. Included is an eraser and sharpener. 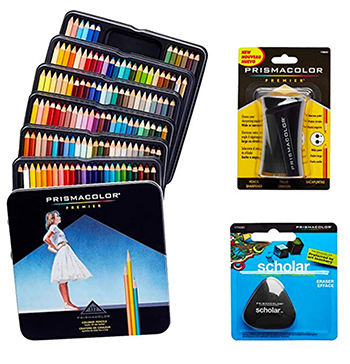 Prismacolor Premier Soft Core Colored Pencil, Set of 72 Assorted Colors + Prismacolor Scholar Colored Pencil Sharpener and eraser. For doodling, line art, sketching and more. 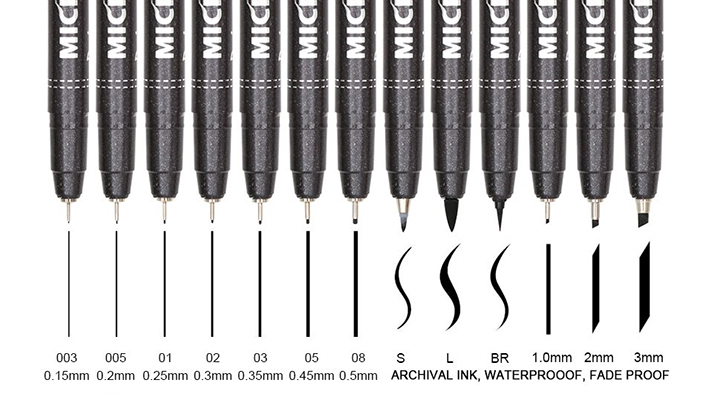 Get the perfect line with these Fineliner pens. 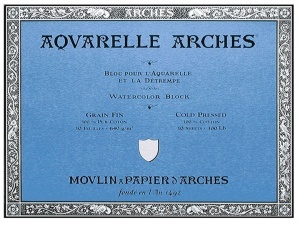 Artist drawing paper, illustration boards, pastel paper, watercolor paper, vellums and more! Artistic expression starts with a piece of paper and depending on your medium of choice you will want the best papers as your foundations. Here are a few versatile papers that I have used and recommend. 400 Heavyweight Drawing Pads – 100 lb., cream-colored paper is ideal for finished artworks and heavier sketch media, allowing for repeated erasing and reworking. Use with charcoal, pencil, colored pencil, sketch sticks, and more! Can be found on Jerry’s ArtARama and most fine art stores. While there are dozens of books, videos and resources for creatives, most artists just want to get down to the details and create! These suggestions will only focus on four resources. Each of these books, and the one tutorial, I have purchased to improve my portrait skills and to motivate and encourage my work. 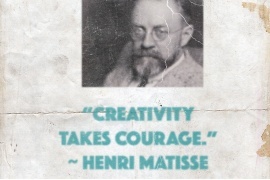 The perfect little stocking stuffer for the dreamers and doers. This book is packed full of inspirational quotes. The right words can rekindle enthusiasm, re-energize efforts, dispel doubt, let the artists know we’re not alone! takes center on my bookshelf. When I need a kick and wake up call, I pull out this handy guide for a dose of reality. I also enjoy the illustrations that drive home each point. 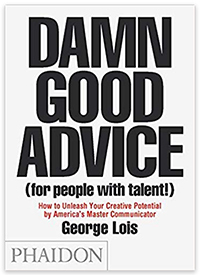 Offering indispensable lessons, practical advice, facts, anecdotes and inspiration, this book is a timeless creative bible for all those looking to succeed in life, business and creativity. Alyona Nickelsen is an amazing portrait artist. I discovered her work online and anticipated the release of her book which goes through her processes of creating realistic portraits with colored pencils. 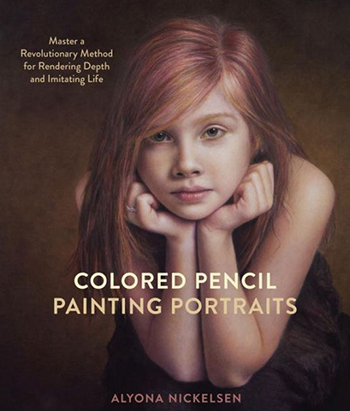 If you or your favorite artists are looking to take portraits to the next level with colored pencils, you’ll find this book to be a treasure! Packed full of value and inspiration you’ll learn how to bring life to your portraits. I discovered the amazing portrait work of Cuong Nguyen on Instagram. 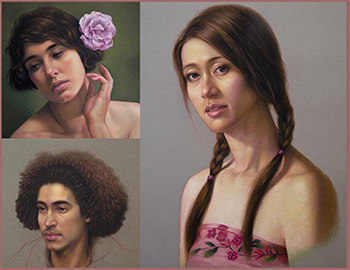 He is a portrait master and creates beautiful lifelike portraits with pastels and oils. I am interested in his pastels and have purchased his visual tutorial ebooks that demonstrate step-by-step how to layer and build realistic skin tones in pastels. 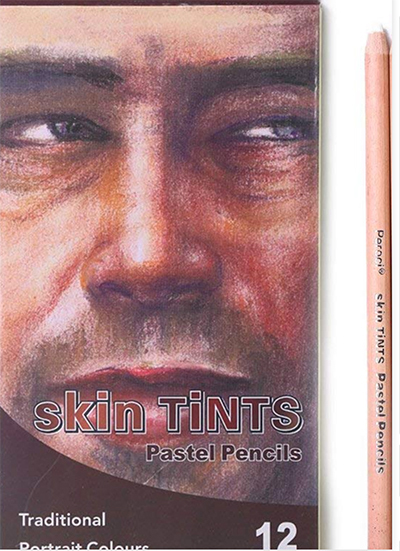 His tutorials show how to use Carb-Othello Pastel Pencils, these sets can be found on Amazon for a good price. 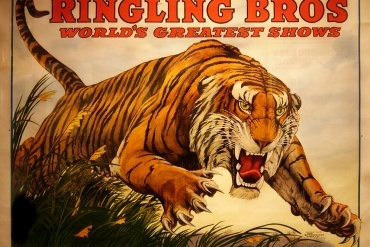 You can find out about his books and workshops on his website. Hope you enjoyed these suggestions. Most of these resources I have used. 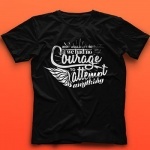 When you purchase from Amazon and our advertisers, we earn a couple dollars which in turn go to support this website; the hosting and maintenance time that it takes to keep this ArtandDesignInspiration up and running.